JNTUH All the B.Tech Examinations Scheduled on 5th, 10th, 11th, 17th, 18th & 19th December, 2018 are Postponed and Rescheduled. 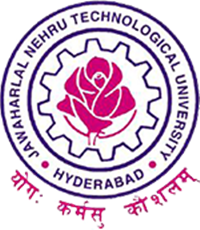 Sub: JNTUH – Exam Branch –Rescheduling of B.Tech course, University Examinations scheduled on 5-12-2018, 10-12-2018, 11-12-2018, 17-12-2018, 18-12-2018 and 19-12-2018 for the B.Tech Regular & Supplementary and Supplementary exams – Intimation -Reg. Due to the forthcoming TS general elections and the communication received ( ref. 1 cited above ), there shall be no University Examinations from 05-12-2018 to 11-12-2018. The examinations which are to be held on 5-12-2018, 10-12-2018, 11-12-2018, 17-12-2018, 18-12-2018 and 19-12-2018 are rescheduled and the revised schedule is as mentioned below. This is for your information and to make necessary arrangements for accommodating the changes in the examination schedule. Further you are requested to inform the above revised schedule to the concerned students. * The date of exam printed on hallticket is 09-12-2018. When will college get reopened (bpharmacy)? is there any changes in reopening date? Election date is declared almost 3-4 months back. Why Can't You people Schedule accordingly?, This University levels are degraded very badly. Really exam will held on Sunday ?? ?or again will it postponed we have to make ticket so please make conform so that it won't postponed again. 17-12-2018 AN exam (1st yr exam) postponed or not? We have one backlog, so regular and supply exam how we will write two exams only one day, how we will prepar???????????? Make us not make our.